We appreciate your belief in our mission and your commitment to support COHS’s efforts to preserve railroad history, educate the public, and to stimulate the regional economy. Bequests are probably the easiest way for you to help the COHS span generations. 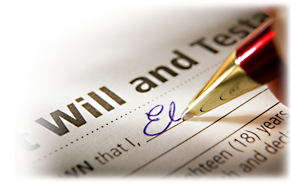 A bequest is a gift of property or assets to a beneficiary as defined in a will. There can be long-term tax benefits because charitable bequests can reduce estate taxes. In addition, there are the emotional rewards of knowing what a charitable gift means to the charity and how it can benefit society. There can be other tax benefits as well if the bequest involves appreciated assets. Using funds from a retirement account to make bequests is often a good strategy. If there is a balance in your retirement account at your death, not only is there a potential income tax burden, but there may be estate taxes as well. Estimates are that taxes could eat up as much as 70-75% of retirement assets under certain circumstances. Careful planning concerning retirement funds needs to be done. Specific language is used to effect a bequest. Please consult your attorney, who will work with you, to capture your intent and make sure your wishes are properly carried out. It is interesting to note that donors are often pleasantly surprised by the joy the giving experience can be. When including a bequest provision in your will or other estate document, you’ll need to use our legal name and address, and we suggest including our Federal Tax Identification Number, as follows. Legal Name: Chesapeake and Ohio Historical Society, Inc.